A group of couples decide to kick their weekly Game Night up a notch, with some unexpected results, in two new TV spots. Two different actresses have very similar stories regarding the alleged sexual predatory acts of director James Toback. Who Is Rachel McAdams Playing in Doctor Strange? Rachel McAdams' mysterious female lead role in Doctor Strange has reportedly been revealed, but it isn't who you may expect. Kevin Feige clarifies that Doctor Strange will tell the iconic origin story from the comics, but in a different way. Rachel Adams confirms that she is starring alongside Benedict Cumberbatch in Marvel's Doctor Strange, which starts filming this fall. Cryptic comments from Daredevil producer Steven S. DeKnight hint that Rachel McAdams may be playing Night Nurse in Doctor Strange. Doctor Strange Wants Rachel McAdams as the Female Lead? Rachel McAdams is expected to be announced as the female love interest for Benedict Cumberbatch in Marvel's Doctor Strange. Bradley Cooper and Rachel McAdams discuss why they broke up several years ago in the first clip from Cameron Crowe's Aloha. Rachel McAdams joins Colin Farrell and Taylor Kitsch on the downtown Los Angeles set of True Detective Season 2. 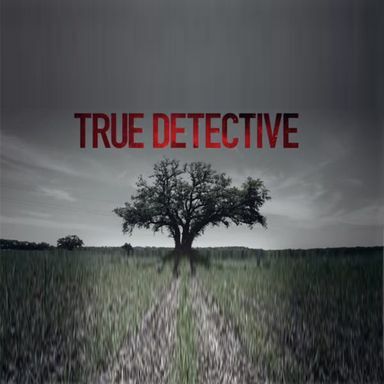 Rachel McAdams, Taylor Kitsch and Kelly Reilly have been confirmed for Season 2 of True Detective, which has started production. Spotlight follows the true story of how the Boston Globe uncovered a child molestation scandal that shook the Catholic Church to its core. Rachel McAdams is close to signing a deal for True Detective Season 2, though HBO has not made an official announcement. Mad Men star Elisabeth Moss is still vying for the female lead in True Detective Season 2 against Rachel McAdams. The sci-fi thriller has been taken off its April 3, 2015 release date due to production delays. Keanu Reeves stars in this sci-fi drama about a man who awakens early on an interstellar voyage, and decides to unfreeze a female passenger. Brian Kirk directs. A time traveler decides to get himself a girlfriend in this romantic comedy. In theaters this November.